2. Enter your email address and your password. Now click “Login”. 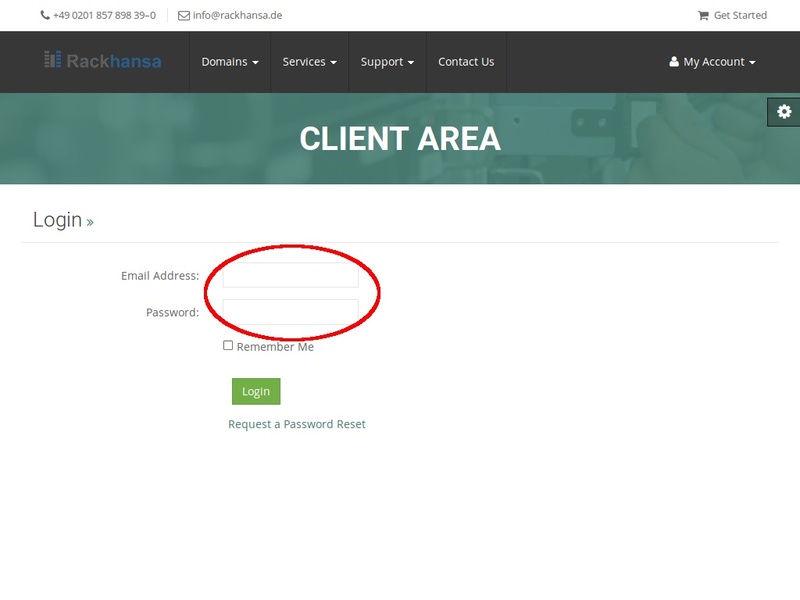 In the screenshot below You see an overview including the 4 options “My Services”, “My Domains”, “Tickets” and “Due Invoices”. My Services: Manage your hosting packages like webhosting, server, etc. my Domains: Manage your Domains and DNS Zones. 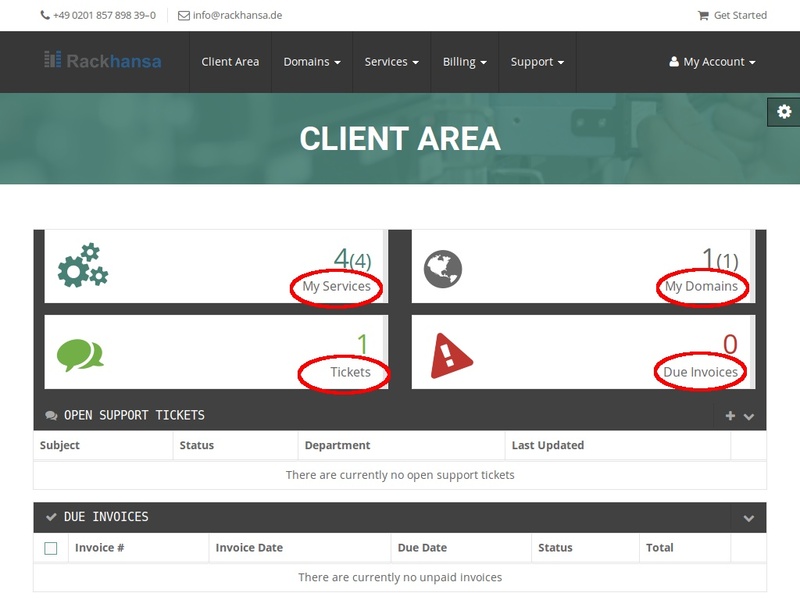 Tickets: Receive technical support here. Due Invoices: Invoices in PDF format to download and overview of your due invoices.